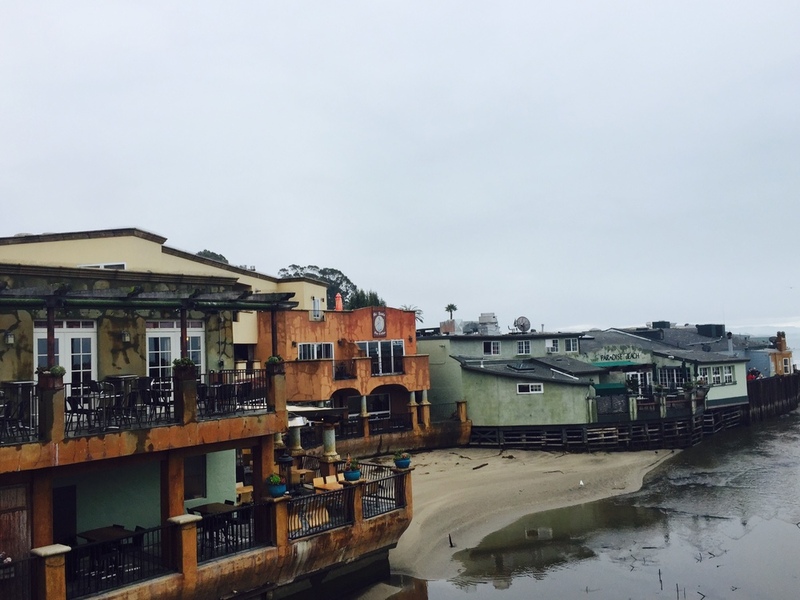 Last January, with some friends visiting me, we went to Capitola. The name of this city does may not ring a bell to you, but it's a little nice town on the coast, on the south of Santa Cruz, mainly known for its waves by the surfers, but also for its beaches by the families! 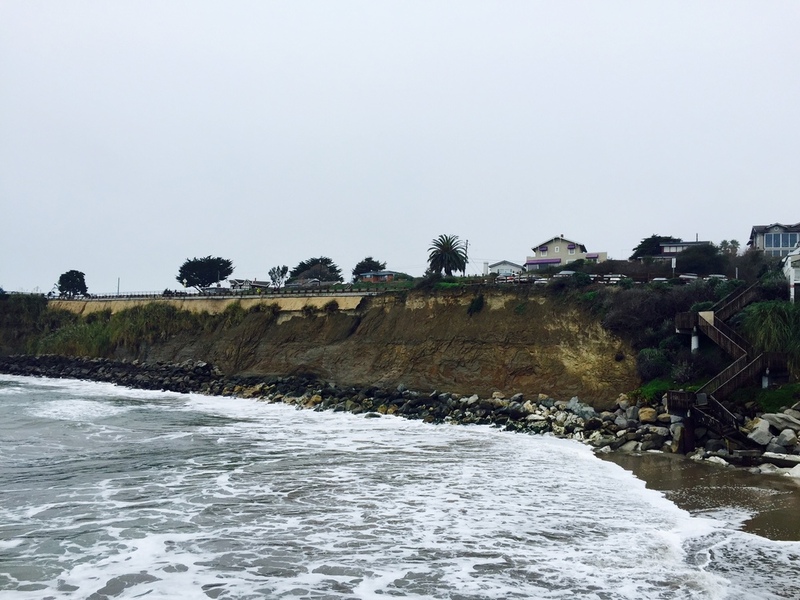 The main beach is divided in two, cut by the Soquel Creek river. You can see along the beach, a low wall covered with colorful mosaics. The atmosphere here is soothing and it looks like a seaside town which it is actually! 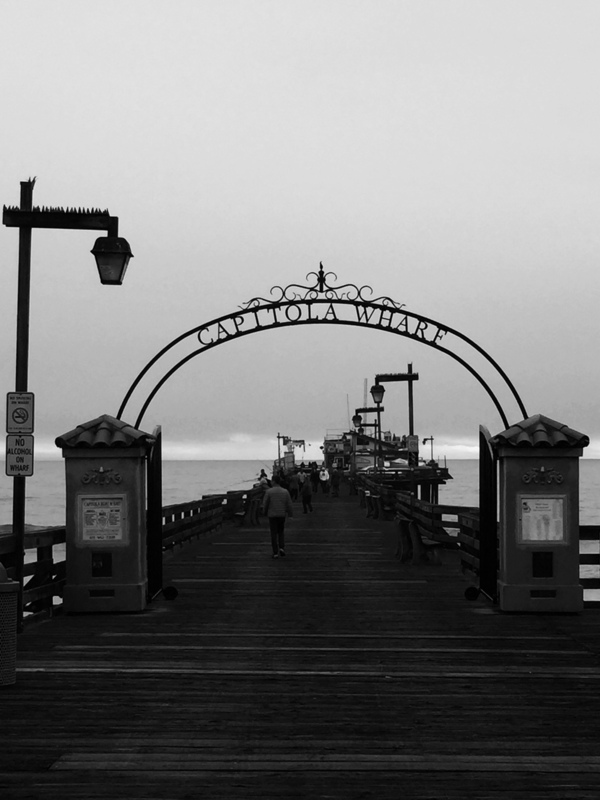 Capitola is known as the oldest seaside town on the west coast. Despite the city is quite small, there are some restaurants, bars and lovely shops in the downtown. We can also walk around on the wharf to admire the huge and rolling waves just behind our own feet!! Even tough it was cloudy and a rainy day, I think that it gives a more colorful impact of the pictures and of the little color houses, and at the end it gives also a mysterious atmosphere of this day. What do you think? Do you like it ?